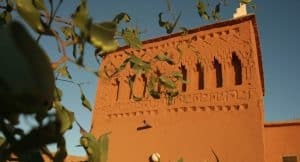 Beginning in Ouarzazate, a windy city that has become an oasis for filmmakers from all over the world, further East and South, there is a land that has not changed for hundreds of years. The city itself, called “The Gate to the Desert” or “The Moroccan Hollywood” is an amazing base for the exploration of the South. Many of Morocco’s cities have difficult to pronounce names and this one is no different. 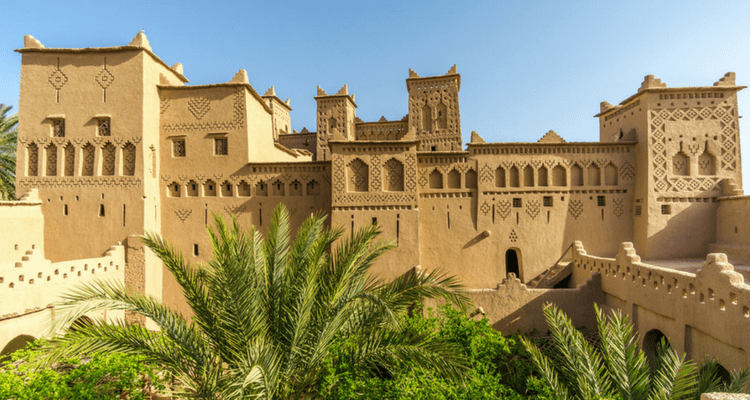 In English it sounds like “where-za-zat” Ouarzazate itself is a small city, with a quiet modern architecture but always inspired by the tradition landmarks. But it is enough to drive 5 km outside of the city to be entirely emerged in the authentic, Moroccan countryside. The Sahara desert is still 300 km away but honestly, you can feel it in the air! Tourists generally arrive there via Tizi-n-Tichka mountain passage, one of the most spectacular roads in the country. Almost 200 km of a beautiful, though somewhat dangerous road reaches 1300 m above sea level. This road was built under the French Protectorate at the beginning of the 20th century but is constantly in a state of repair and advancement. The Tizi-n-Tichka passage made a strong link between Marrakech and the South. It remains one of the few ways for people and goods to go over the Atlas Mountain range. When you descend through the High Atlas to “the other side” it feels you’ve arrived in another planet. Everything changes. The climate, the air, the smell, the colors, the landscape, the people. 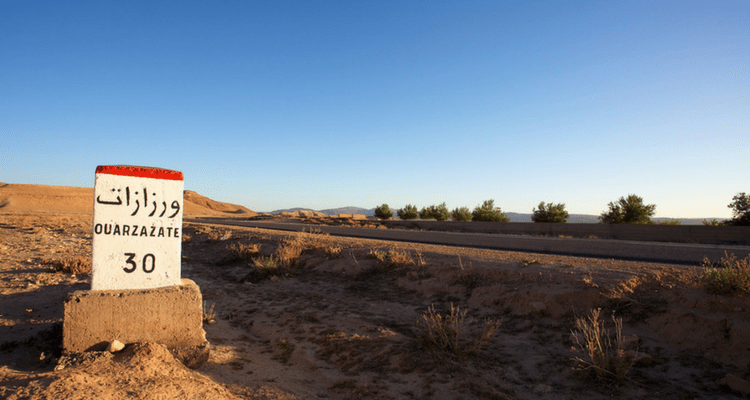 If you’d rather not drive there are flights on Morocco’s national carrier Royal Air Maroc from several cities in the kingdom including Casablanca and Marrakech. Ouarzazate airport is small but does the job. Flights are typically price controlled around $60 one-way per person from Casablanca and $120 round trip per person from Marrakech. The time savings is huge, with a flight taking between 40-60 minutes while driving takes approximately 4 hours. You can visit the Kasbah in Ouarzazate as well as the movie Studios (Atlas Studios, entry 50 dh/person, 8:30am till 6pm – depending on the season) and the Museum of Cinema (entry 30 dh/person, +212 524 89 03 46, 8am-6pm). 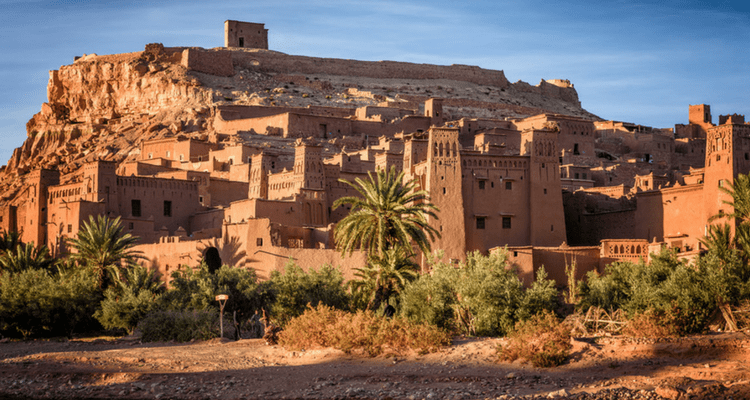 Thanks to its amazing landscapes, good infrastructures, friendly people and cheap authorizations, Ouarzazate became very popular among movies producers! Starting from “Gladiator” and “Jesus from Nazareth”, everyday modern productions like The Game of Thrones, Mission Impossible, Alexander or Prince of Persia use this part of Morocco’s gorgeous features for their shootings. 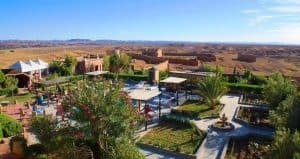 When you decide to travel to Ouarzazate the place that should definitely be on your bucket list is this small village located 30 km from Ouarzazate, on the road to Marrakech. 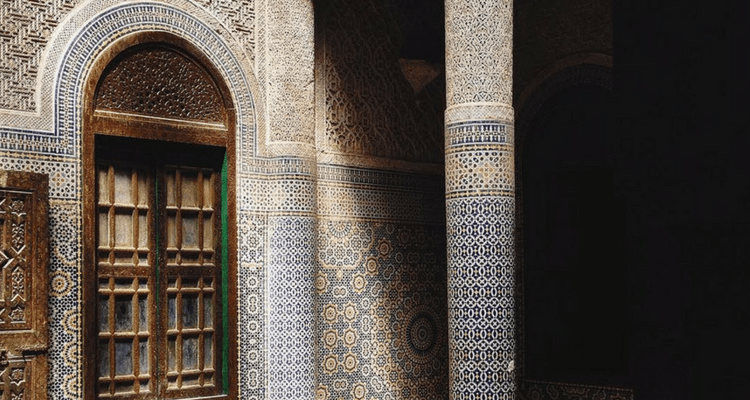 Thousands of these magical buildings are planted throughout Morocco, but in the South they are not merely relicts of the history, but living places that still shelter many families. Their extraordinary and simple design has attracted visitors from around the world. The architecture expresses the simple spirit of the local people as well as the great aspirations of desert nobility. You can find both small, simple buildings as well as huge, detailed decorated mini-palaces. Ait ben Haddou is a bright glowing pearl in the crown of the casbahs. It owes its charm to the inclusion on the UNESCO World Heritage List. Still inhabited by 3 families, the buildings rise on a hill above a broad stream – a periodic river, which, after heavy rain in the mountains,turns into a flowing river from a dry trough. The remaining villagers have moved across the river into more modern buildings. You don’t need a guide to enter though many will present themselves to assist, or your tour may provide one. General entry is 10dh per person however extra is expected for the guide. The price should be discussed ahead of time (if included) or when services are rendered. The Kasbah is open from 8am until sunset. Most people only visit Ait ben Haddou, the more famous kasbah in the region. But, Telouet kasbah is a ruined gem to also consider. If you’re visiting on a day trip from Marrakech you’ll likely only have time to visit one or the other. This kasbah was home to Thami al Glaoui one of the most infamous men in Morocco’s recent history. Sometimes called The Lord of the Atlas, revered by some as a calculated and wise ruler, and despised by others as a traitor his story is truly something straight out of a movie. He was a Berber chieftain (of the Glaoui tribe) who ruled the southern areas of Morocco and eventually was also the Pacha of Marrakech. The story gets even more interesting when the French protectorate was in place and includes wealth, power, and Hollywood superstars. (The book Lords of the AtlasLords of the Atlas is an excellent read if you want to know even more about this story). After decades of disrepair the Telouet Kasbah has undergone some renovations and continues to see improvements made. There are very few visitors who come here but it’s a very interesting glimpse into a chapter of Moroccan history. The kasbah is only accessible by private vehicle. Ten kilometers south of Ouarzazate lies the Fint Oasis. There are four traditional villages that surround the oasis that truly pops out of the barren landscape. Many Hollywood films were also filmed in this oasis. It’s possible to visit with a 4×4 vehicle or quad bike. If you have a guide you’ll be able to interact a bit better with locals. There are some small hotels in the oasis but expect modest accommodations. I’ve even got an insider tip for Game of Thrones fans! If you walk along from the village along the left hand bank of the river you come to a place where Game of Thrones was filmed. Cross the river first and walk upstream to find it. This part of Morocco was really put on the global map recently with the opening of the Noor solar plant. This impressive project generates 160 MW of power and is connected to the Moroccan power grid. A half-million mirrors are used at the plant! Unfortunately it is not possible to visit the plant however you can catch glimpses of it from some roads nearby. Another of the Glaoui palaces this one is just 8km from Ouarzazate. 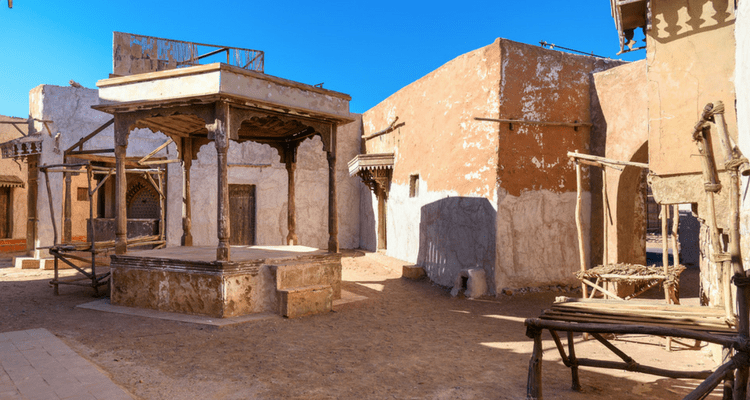 This kasbah also appeared in films like Jesus of Nazareth and Lawrence of Arabia. It also served as a hotel for film crews and production staff when they were on location. Today it’s been abandoned and left to the elements. An interesting trip if you have a little more time or are planning to go further towards the Sahara is a stay in the village of Skoura. This small city is known for it’s hidden kasbahs and palm groves. Kasbah Amiridil is one of the most famous sites here (it even appears on the 50 dirham Moroccan note). Today it works as a living museum and showcases life in times gone by. In Skoura hire a local guide to take you on a walk around some of the abandoned kasbahs (there are many!) for a really unique experience. Don’t expect a lot of fine dining in Ouarzazate. Most visitors end up eating in hotels and roadside cafes that are there for just that – feeding tourists. The food is suffice to say not very good. That being said there are a handful of places worth seeking out. Douriya – if a rooftop, candle light terrace sounds appealing to you than you’ll want to check out Douriya. Moroccan favorites like tajines and couscous are on the menu but there are also a few other specialty dishes worth trying. 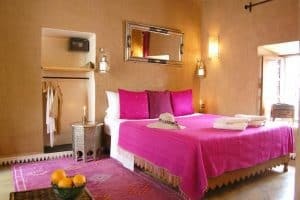 La Kasbah des Sables – If you want somewhere to really kick back and relax for a few hours this is where you want to go. The menu is a mix of Moroccan and French dishes. 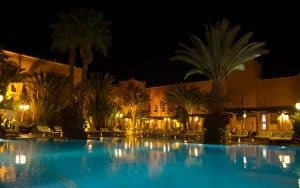 Le Relais Saint Exupery – this restaurant which may seem odd due to its close location to the airport in Ouarzazate offers up dishes made with local ingredients and some fusion flavors of neighboring African countries like Mali. Pizzeria Veneziano – Sometimes you’re just done with tajines. That’s ok. Pop in here for pizzas and other international dishes. Grill Stands – You’ll see grill stands in the evenings in a lot of neighborhoods. This is a good place to pop in for super casual and inexpensive grilled meats. Gas Stations – Afriquia gas stations (and a few others) are where Moroccans on the road stop to have lunch. 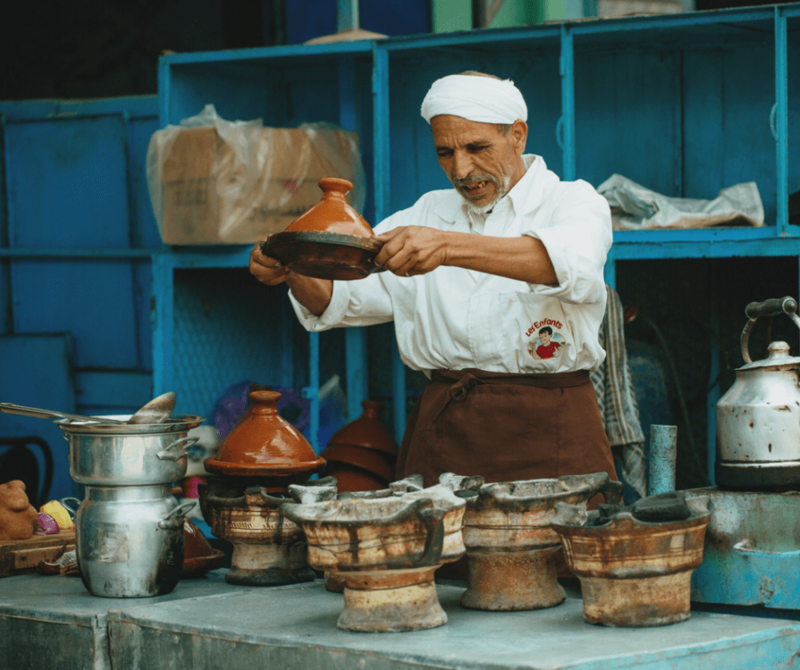 They often have some of the best tajines you can get while traveling. Trust me I thought it was strange too but you’ll be surprised! 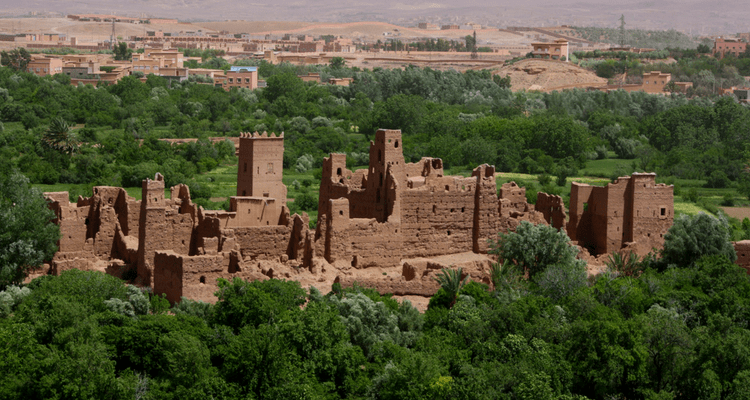 There are several hotels in the Ait ben Haddou area (thanks in part to the film industry). One great choice is The Paradise of Silence With a stunning setting, amazing views, charming pool and delicious food, what more could you want? This simple guesthouse/hotel in Ouarzazate is a good place to stay if you’re on a budget but what somewhere clean and comfortable to stay. Don’t expect over the top luxury but do expect a good place to sleep and hospitality. If you’re a movie buff than book your stay at Hotel Oscar located in the heart of the film studios. Your room includes a tour of Atlas Studios and they have several family rooms that can accommodate larger groups. The hotel also has a pool for days when you’d rather just take a swim! 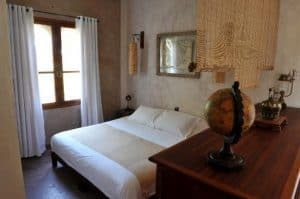 There aren’t many five star accommodations in the area (or this side of the Atlas Mountains) so if you’re looking for a more luxurious place to stay book here. There is a lovely pool area, free wifi, and spa available for guest use. If you seek a small, welcoming guesthouse with space to relax by the pool in a palm grove you’ve found it! Simple luxury, great food and a peaceful retreat wait for you here. Overlooking the palm grove of Skoura and with amazing views of the High Atlas Mountains is Chez Talout. Simple design, good local food and affordable rates make it a good choice to consider in Skoura. I seriously drool over this place! It’s about as close as you can get to being right in the middle of a palm grove. Beautifully decorated rooms, common spaces and lush gardens cap off this hotel. Moroccan and Mediterranean dishes round out the menu made almost exclusively from produce grown on site or purchased locally. Many people choose to make the trip to Ouarzazate from Marrakech a day tour. You should be warned that this is a very long trip and a long drive but not impossible to make. Check out these three options for day trips from Marrakech.